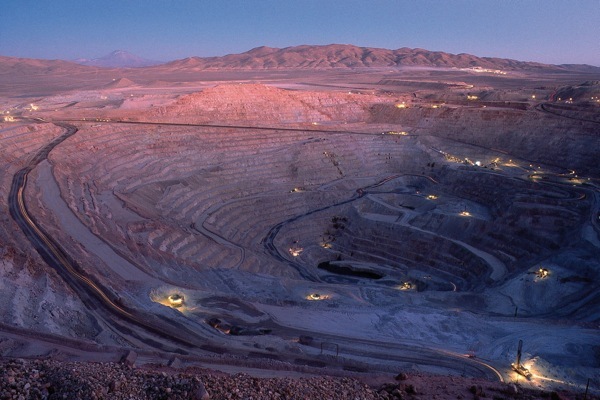 Escondida is the world's largest copper producer mine. Image courtesy of BHP. Chile, the world’s main copper producer, sees its output exceeding the 6 million tonnes-mark for the first time this year thanks mainly to privately held mines, the National Mining Association, Sonami, said Wednesday. (in Spanish). Despite unfavourable global conditions, the country mined about 5.8 million tonnes of the metal in 2013, exceeding Sonami’s own expectations of 5.5 million. BHP Billiton’s Escondida mine, and Glencore Xstrata/Anglo American Collahuasi were singled out as the main contributors to the improvement in Chile's mining industry in the past months. Overall, Sonami said, the sector grew by 5.5% last year, with a value of exports totalling US$ 4.7 billion. In terms of prices for the commodity, the association sees copper trading between $3 and $3.2 per pound this year. Chile supplies nearly one-third of the world's copper demand.